For pricing and more information on this title, call us at 1-877-394-8826. Discounts may be available to customers that subscribe to both online research and print products. 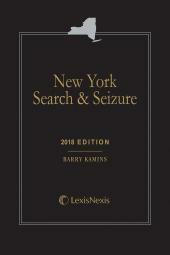 New York Criminal Practice, Second Edition provides unparalleled treatment of New York's substantive and procedural criminal law-from arraignment to appeals. 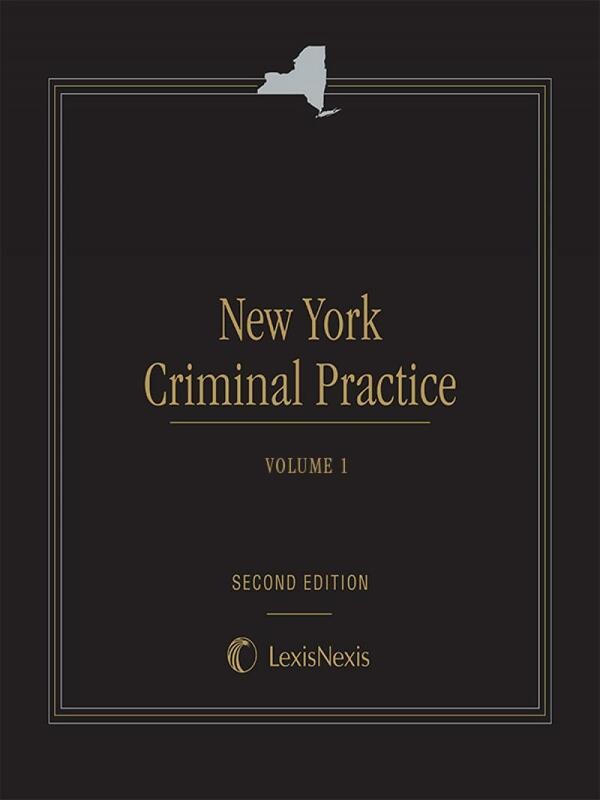 New York Criminal Practice, Second Edition provides unparalleled treatment of New York's substantive and procedural criminal law-from arraignment to appeals. This 8-volume, loose-leaf set offers in-depth coverage of specific penal law offenses and available defenses, pre-trial and trial procedure, sentencing requirements, and criminal appeals, with over 300 sample forms. 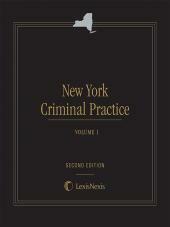 New York Criminal Practice, Second Edition is procedurally organized starting with an analysis of the criminal process and ending with discussions of discrete Penal Law Offenses and updated three times a year, under the supervision of a six-member Editorial Board, with chapters prepared by seasoned experts on New York criminal law. 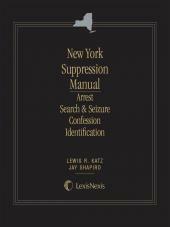 During 2005, New York Criminal Practice, Second Edition was substantially revised and reorganized adding new sections on cutting-edge New York criminal topics such as changes to the Rockefeller sentencing laws, and also adding descriptive section headings and a new numbering system for more efficient location of relevant materials. Mr. Mehler is a private practitioner in New York City specializing in criminal and civil litigation. During the Clinton Administration he served as a Deputy Assistant Attorney General at the United States Department of Justice in Washington. Before that, he supervised the prosecution of public corruption and government-related fraud cases as Chief of Special Prosecutions (Public Integrity) at the United States Attorney's Office for the Eastern District of New York. He also worked as an American government resident legal advisor to the Government of Romania, and taught as an Adjunct Associate Professor at Fordham University School of Law. Mr. Mehler opened his own law practice in 2000. Mr. Mehler was born in Denver and completed his undergraduate studies at the University of Colorado. He received his law degree from New York University. He was a law clerk to a judge on the U.S. Court of Appeals for the 10th Circuit, and began his legal career as an associate at Skadden, Arps, Slate, Meagher & Flom in New York City. He has written for a variety of periodicals including, The American Lawyer and The New York Times. 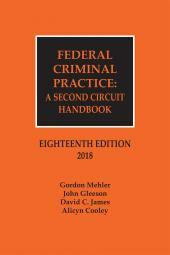 He is also the co-author of Mehler, Gleeson and James, Federal Criminal Practice: A Second Circuit Handbook (Lexis-Nexis/ Matthew Bender 2010), now in its 11th edition. 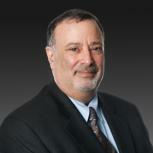 Mr. Schwartz is actively engaged in private practice specializing in criminal defense, with offices in New York City. He is a former Senior Trial Attorney in the Criminal Defense Division of The Legal Aid Society, a former Assistant District Attorney in Queens and Kings Counties in New York and a former Chief Assistant Attorney in the Medicaid Fraud Control Unit of the New York State Attorney General's Office. He served as counsel to the Mayor's Committee on the Judiciary in New York City, was a member of a New York State Moreland Act Commission which investigated and reported on Police Violence and the Use of Force. Mr. Schwartz is also past President of the New York Council of Defense Lawyers. The Honorable Barry Kamins is a partner at Aidala, Bertuna & Kamins and a retired supreme Court Justice. Before leaving the bench, he was Administrative Judge of the Criminal Court of New York City, Administrative Judge for Criminal Matters for the Second Judicial District and Chief of Policy and Planning for the New York Court System. He was appointed a Criminal Court Judge by Mayor Michael Bloomberg on September 11, 2008 and was elected to Acting Supreme Court Justice on May 6, 2009. Judge Kamins was elected a State Supreme Court Justice on January 1, 2013. Judge Kamins is an Adjunct Professor at Brooklyn Law School; where he teaches New York criminal practice. He is the author of New York Search and Seizure and writes the Criminal Law and Practice column for the New York Law Journal. From 1969 to 1973, judge Kamins served as an Assistant District Attorney in Kings County where he was a partner in Flamhaft Levy Kamins Hirsch & Rendeiro LLP. 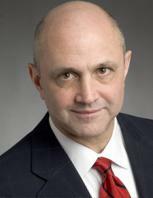 Judge Kamins currently serves on the New York State Justice Task Force and the Chief Judge’s Advisory Committee on Evidence. He is currently a member of the Board of Trustees of the Historical Society of the Courts of New York State. He is a former President of the Association of the Bar of the City of New York and a past Chairman of the Grievance Committee of the 2nd, 11th and 13th Judicial Districts. He also chaired the Advisory Committee on Criminal Law and Procedure for the Chief Administrative Judge, the New York State Permanent Sentencing Commission and the New York State Bar’s Task Force on Wrongful Convictions. Judge Kamins lectures extensively on criminal law for the Office of Court Administration to prosecutors and defense attorneys. Over the years, he has been appointed by the courts to serve on several committees dealing with problems in the criminal justice system; the Commission on the Future of Indigent Defense Service; the Commission on Drugs and the Courts; the Committee to Promote Public Trust and Confidence in the Legal-System; the Committee on Guidelines for Representation of Indigent Defendants; the New York Task Force on Procession Civilian Complaints by the New York City Criminal Court; and the Assigned Counsel Plan Advisory Committee of the Appellate Division, Second Department. He received a B. A. from Columbia College and a J.D. from Rutgers University Law School.